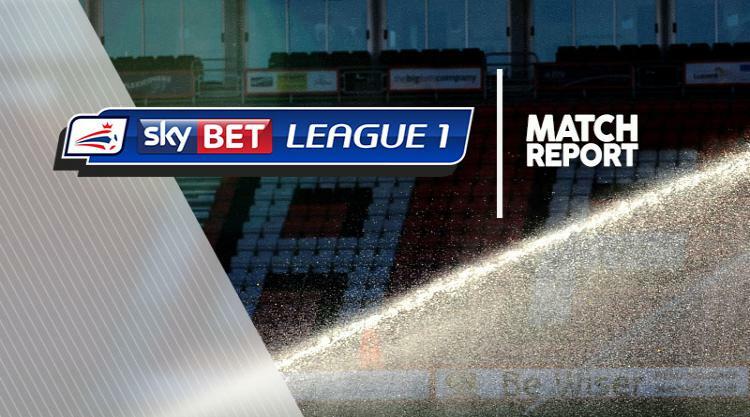 Bury are on the brink of securing another season in Sky Bet League One after winning 3-0 at home to Northampton. James Vaughan bagged a brace, taking his tally for the season to 24, and George Miller netted to leave Bury five points above fourth-bottom Port Vale, who have a game in hand on them. The Cobblers made a poor start, letting goalkeeper Joe Murphy's goal-kick bounce through for Vaughan to fire into the bottom corner in the third minute. Northampton replied with Brendan Moloney firing over while Bury's Tom Pope shot straight at David Cornell. Murphy then turned wide a Matty Taylor free-kick but Bury had the rest of the chances, Ryan Lowe twice going close while Taylor Moore volleyed over. Cameron Burgess then headed an Andrew Tutte corner against the bar, with Miller heading in the rebound, before Vaughan fired in from 20 yards at the death.